The abundance of summer squash won't last much longer, so I am picking it up where ever and whenever I see it. The trouble is that I have to come up with new ways of preparing the sweet vegetable. After getting a large quantity from my friend Tom at the Inter-Faith Food Shuttle, I was determined to create a new recipe and one that would use up some of the herbs I have growing in my backyard as well. Preheat the oven to 400°F. 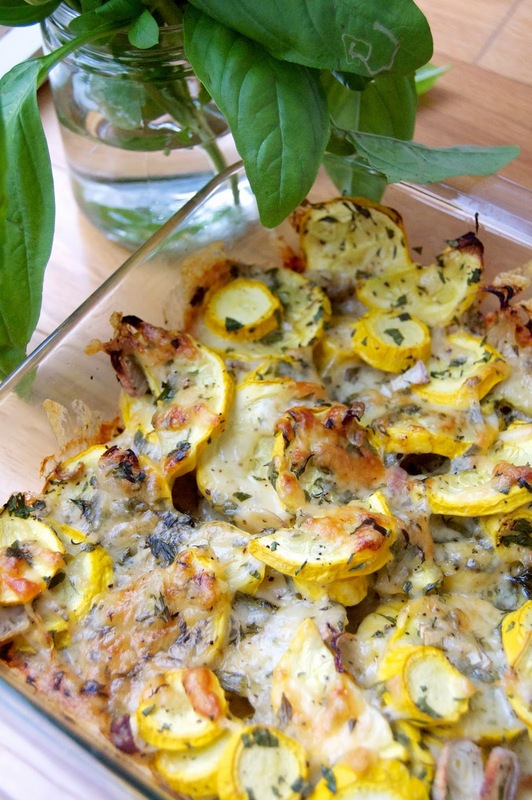 Toss the squash slices with salt and set this aside for 10 minutes. Drain the squash in a colander and lay on a paper towel for a few minutes to absorb any remaining moisture, then add to a large mixing bowl. Add in shallots, gruyere, thyme, parsley and garlic, then toss gently to combine. Transfer the mixture to a 9×9-inch baking dish and drizzle olive oil and black pepper on top. 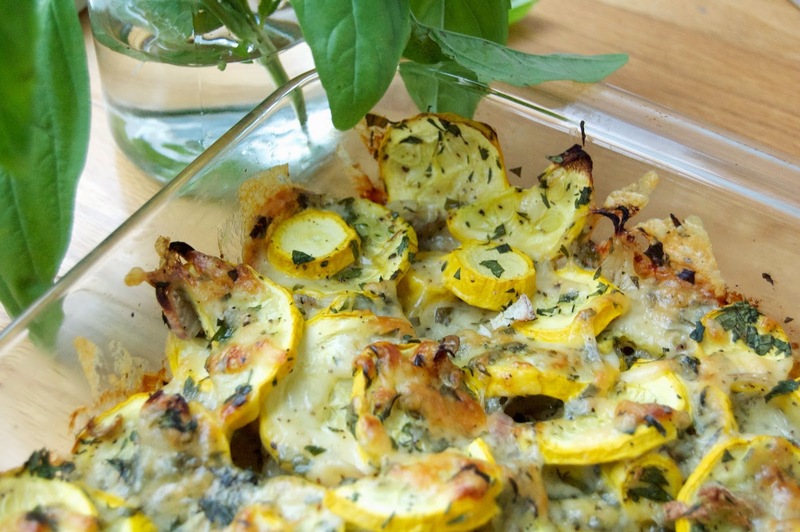 Bake 30-35 minutes, until the squash is tender and the cheese is bubbling up the sides.